Hello! I hope you all had a good christmas and new year. I am so sorry I am a little behind on talking about these lenses, real life stuff but we will be moving soon so everything is all a bit aaaagh as you may know if you have moved before! Anyway, I’m not here to waffle on about that. 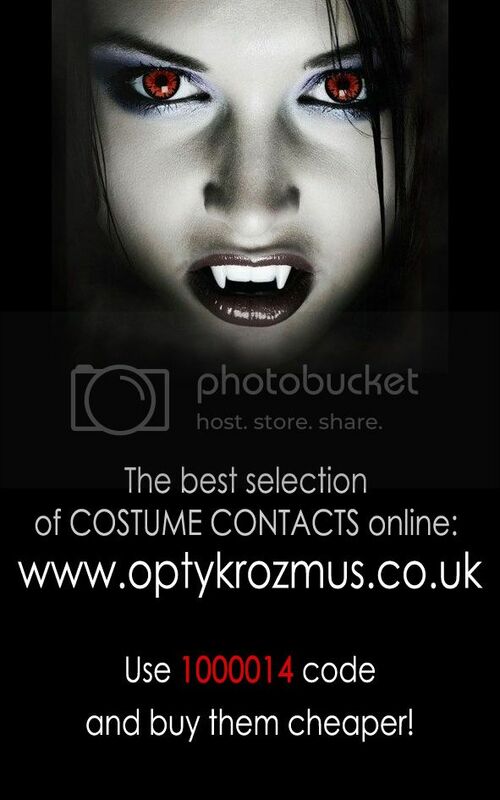 I got sent some lovely lenses from the folks at Optykrozmus to tell you about! To note; I have naturally light eyes which are quite large anyway, images were taken on an Iphone. I take a 3.50 prescription. I have two pairs to show you, and also to say about how comfortable the daily lenses are! First pair I will show you is ColourVue Solar Blue. These are very pale looking at first glance but they do give the eye a definite tint. I also wore them to a K-pop night I recently attended! lifespan; 1 year for non prescription, 3 months for prescription. Decent pair of lenses for everyday use. Not as blue as could be, but good for natural looks. The second pair I have to show is the Neo Cosmo Rose Blue. These have a slight rose pattern on them, its not amazingly noticeable but you can sort of see it. I was made over to do a Ciel look for these by Chyphens. They are very vibrant and whilst not as comfortable as the others I had, still hold their own. 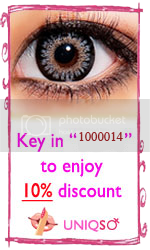 These lenses also offer a definite enlargement on the eye! Not a lens I would wear for very long times but perfect for cosplay. Very blue! 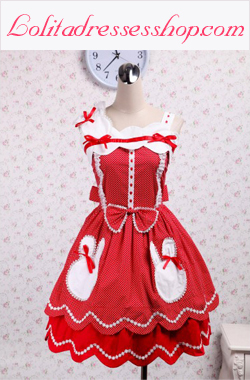 The rose motif is a little hard to see though. Also as a bonus, I was offered to try daily lenses 1 Day Acuvue Trueye. Now I won’t show many pics of these as they are completely natural ones, with no enlargement, but as someone who doesn’t like to wear glasses when I am out, these I can wear for hours at work with no discomfort. They are EXTREMELY comfortable in the eye and cover prescriptions. Natural eye colour hah! You can see my uneven eye shape xD.